Hind Institute of Medical Sciences Barabanki, Uttar Pradesh. MBBS 100 Seats. PG 6 Seats. The Institute of Medical Sciences is a private medical institution in Barabanki, Uttar Pradesh for studying MBBS, MD & MS Courses. The college came into existence in the year 2009 and is managed by a trust. The affiliation of this institution is to Dr. Ram Manohar Lohia Avadh University, Faizabad. MBBS / MD / MS Courses – Hind Institute of Medical Sciences Barabanki undertakes the teaching and training of students for under-graduate course of MBBS and post-graduate courses of MD & MS. The medical college and the medical courses are recognized by Medical Council of India. Brief Details about Hind Institute of Medical Sciences Barabanki, Uttar Pradesh – The brief details are given below for the aspirants looking for admission in the Medical College in Barabanki, Uttar Pradesh. The details include contact details, facilities, year of establishment, recognition, accreditation, etc. MBBS Seats 100 Seats. MBBS Admissions in Hind Institute of Medical Sciences Barabanki are through Competitive Entrance Examination in Uttar Pradesh. Admission for PG Medical (MD MS MBBS course) in Uttar Pradesh top college Hind Institute of Medical Sciences has been started. PG Medical seats for MD MS MBBS available at Hind Institute of Medical Sciences under management & NRI quota. MD MS MBBS (MD MS MBBS ) is one of the most demanded courses in India for doctors who have qualified for PG Diploma studies after their MBBS graduation. Seats are limited so candidates must register themselves now in our portal and get consultancy from our team for your MD MS MBBS admission in Hind Institute of Medical Sciences. Their Goal is to provide best teaching of medical, Paramedical courses in most healthy environment with ultra modern equipments and facilities. Hospital has got permission from State Medical faculty to run 9 diploma courses and Recognition from Indian Nursing Council to run M.Sc. Nursing,B.Sc. Nursing ,P.B.Sc.Nursing, G.N.M. Nursing & ANM courses. With high esteem to the wishes of its founders, HIMS is providing free medical care to the weaker sections of the society with out compromising in the quality of medical care. 20% out of 800 general beds in the general ward are allotted for free treatment. There are Two types of Medical Colleges in Lucknow, Uttar Pradesh Government Medical Colleges and Private Self Finance Medical Colleges. All Medical institutes are approved by Medical Council of India. Government Medical Universities :- In government medical college Students get admission on based of merit marks in examination of 10+2 science or exams as per Indian medical council recommended. Students get admission without donation. 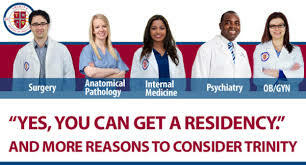 Private Self Finance Medical Universities :- Trust or in private medical college some seats are reserved under quotas like management, nri, scholarship. This are called payment seats, where student get admission with less percentage. Medical Education Counselling :- There are few foundation, ngo’s or trust who runs free counselling services by counselor for medical department. 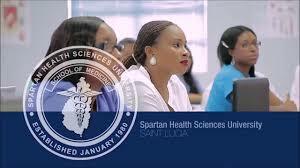 As medical education cost price is higher, students need help for further and further studies.